Microsoft was the preeminent name in computers for a long time, with its seemingly unbeatable tag team of the Windows operating system and Office suite. But that was back in the days when PCs ruled the world, before mobile phones grew brains and tabletmania swept the planet. These days Microsoft is struggling behind companies like Apple and Google who have spent the last few years redefining the industry Microsoft once owned. Microsoft still makes its old software standbys for your desktop PC. With their parents just minutes away, Greg and Rodrick have to figure out how to fix the damage from their illicit party. There’s a scene in “Diary of a Wimpy Kid: Rodrick Rules” in which Rodrick hosts a party at his house while his parents are away. His little brother, Greg (the “wimpy kid” in question), gets involved with the event, so they’re both complicit in the damage and mess that ensues. In the morning they find that someone has graffitied the bathroom door. In a rush to cover it up before their parents get home, they swap out a spare door they find in the basement. The problem is: the new door doesn’t have a lock on it. The two spend the rest of the movie duping their parents into believing that the bathroom door never did have a lock on it. This situation with Senator Mike Duffy and Prime Minister Stephen Harper’s chief of staff Nigel Wright reminds me a lot of this scene. The bathroom door is the $90,000 cheque, which Canadians are supposed to conveniently ignore the irregularity of. 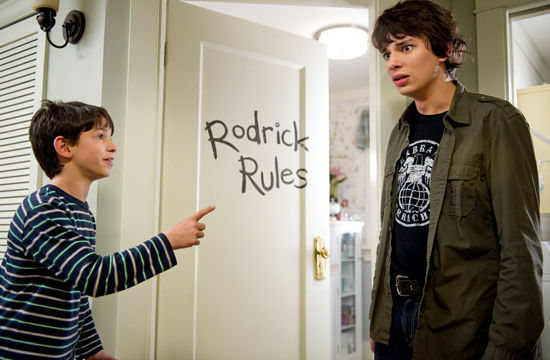 The childish antics of Duffy and Wright remind me of the hilarious behaviour of Rodrick and Greg as they desperately struggle to build and maintain a lie. The senate, then, might just be the toilet, which we all now just want to sit on and take a dump. Over the years I’ve written dozens of columns about NorthwesTel. Some have been kind. Others… well, let’s just say I’m fortunate not to have been lynched long ago. I’m honestly surprised that, when I bump into NorthwesTel’s VP of Consumer and Small Business the odd morning at Starbucks, he still greets me politely and exchanges pleasantries (all the while gritting his teeth, of course). If I were him, I’d probably slug me in the mouth. Just got into a discussion on Google Plus about the value of Path in light of Plus’ circles feature, and recalled posting this about a year and a half ago. I still think the perspective is as valid now as it was back then, so thought it was worth drawing renewed attention to it. There are two ways to look at my scale. The first is: how private do you want to be? The second is: how popular do you want to be perceived to be?